This takes ten minutes and looks amazing! You could make a few or just one, but it would be a great mothers day gift. This is the first, and it’s very easy and adorable. 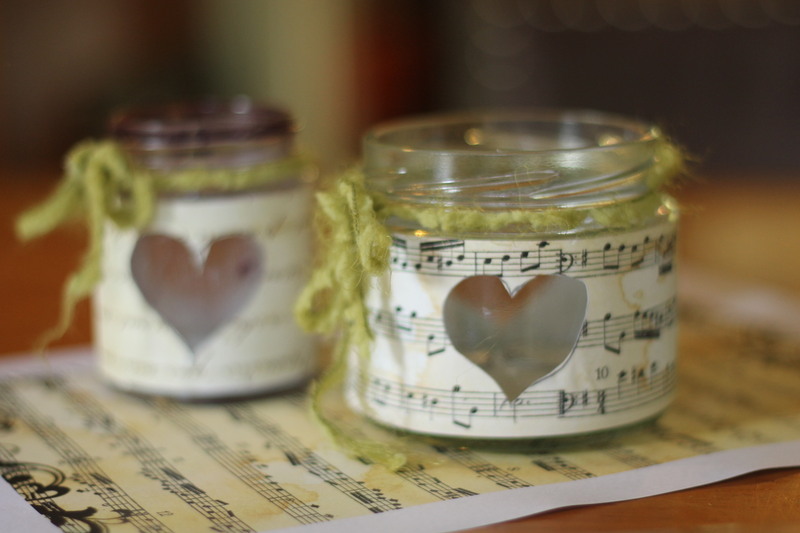 Cut your music paper to the width of your jar. You might need to cut an extra bit if the paper doesn’t wrap all the way round. Draw 2 hearts on your paper, aligned to be opposite each other when you stick the paper on. 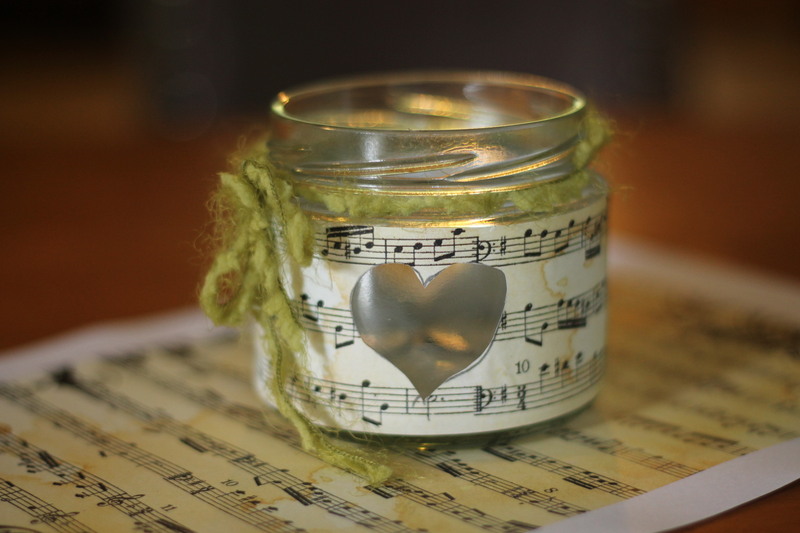 Cut hearts out, glue paper strip around jar, put tea light candle inside (or 2 or 3 if your jar is a wide one) and tie the ribbon or twine around the top of jar. A lovely (and super easy) mothers day gift. The printable music papers are really great. they print a full page without being blurry or “home printered” looking, and they are often much prettier than any normal music. 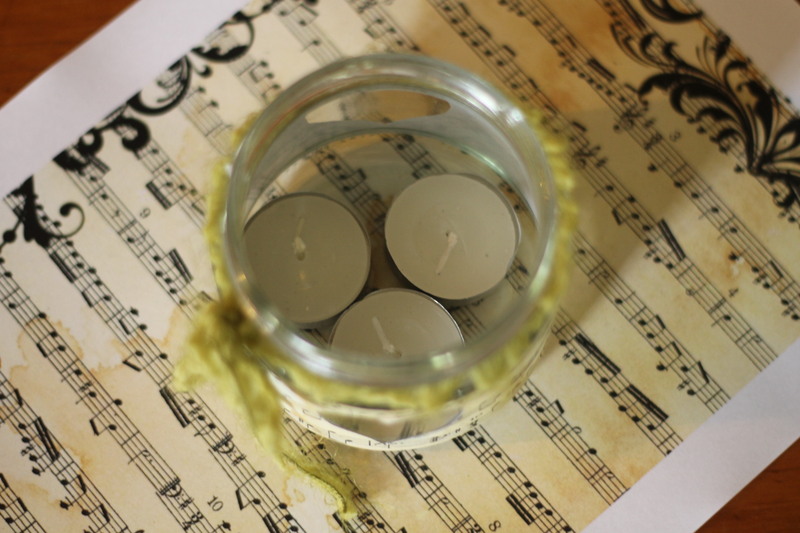 You can also use old book pages for your candle.